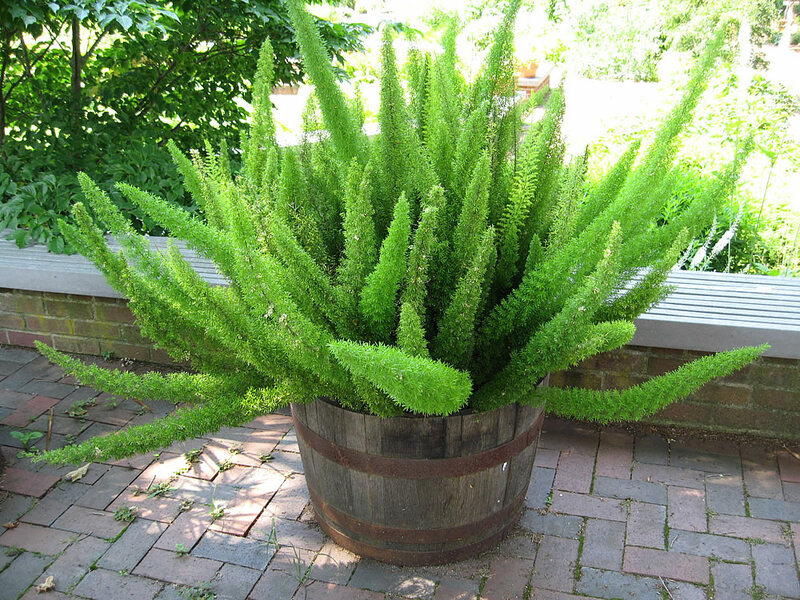 The asparagus fern is not a true fern. It is a very versatile plant that can be used as a summer annual, works great in mixed planters, takes well to water-culture, and also looks great alone. It tends to shed and become messy when not given sufficient light.